Maldives — what I call the Country of Blue, the place we’re all dreaming of visiting… bungalows set over the ocean, clear light-blue beaches and hundreds of islands to explore. Maldives used to cater exclusively to luxury travelers, but it has since opened its arms to budget travelers as well. Personally, I consider Maldives to be in the mid-range. My budget here is almost the same as our last trip to Bali. If you’re coming from the Philippines, the tickets are terribly expensive, but the rest — accommodations, food, tours — are reasonably priced and even comparable to other Asian countries. 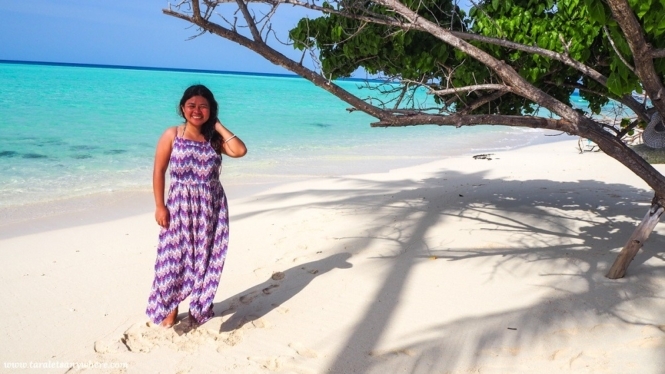 My budget for a 6-day trip to Maldives is about P30,000 ($550), including flight tickets. I was solo. I booked my flight tickets to Male from Kuala Lumpur and got it for P8,000 ($150) only. In the Philippines, you have to wait for promo or booked several months in advance to get a good price. 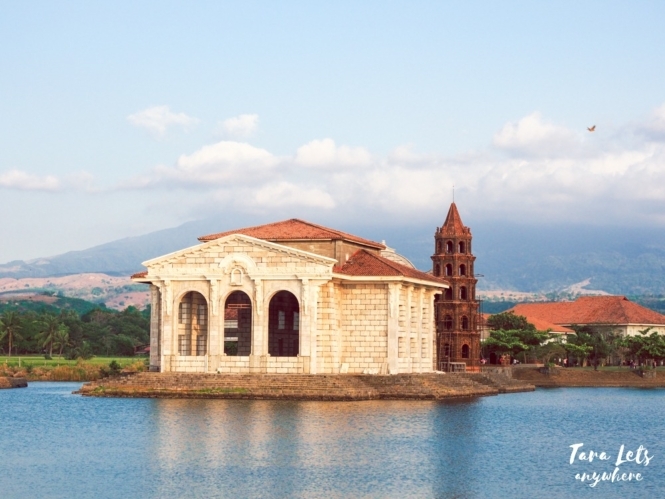 Otherwise, you’ll have to spend some P17,000-22,000 ($300-400) for a round-trip ticket. Like I said, once you’ve booked the tickets, you’ll find that the costs in the country itself are reasonable. Book your flight tickets and reservations in advance (obviously). Go during low season, which runs from May to November, when rates are cheaper. This coincides with the monsoon season (May to October), but don’t worry because it isn’t like the Philippines where the rainy season means frequent typhoons and cancellations. You’ll probably get cloudy skies and a few rainshowers, but nothing more. Stay in a local island. There are 2 types of islands you can stay at: local islands or private islands. As implied, local islands are residential and hence a cheaper option. In contrast, private islands are usually owned by resorts so they are more expensive. You can see the famous water bungalows in private resorts. You’ll be spending P15,000+ ($300+) for one night in a water bungalow, whereas a room in local islands is as cheap as P2500 ($45) per night. If you want to splurge, go on a day tour to a private resort instead of booking an overnight accommodation there. Day tours cost P5000 ($100) or above, and this includes buffet and even snacks. 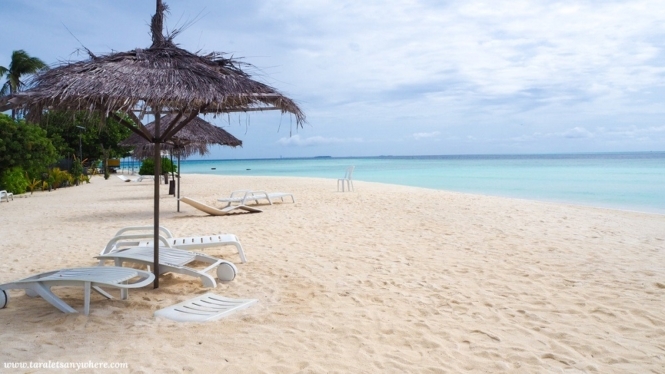 Maldives issues visa-on-arrival for Filipinos. Just be ready with your documents (reserved accommodations, etc) and a little cash in case you are asked to present for proof. My experience with immigration is smooth — I was asked for my passport and nothing more. I’m not going to go through all the points, but here’s a good resource on what you need to know about Maldives. The best weather is between November and April. The high season falls between December and March, and the rest is low season. The monsoon runs from May to October. Some attests that August to September is the best time go to because it’s just starting to get into high season, so you can enjoy cheap prices and great weather. I went here in June, and days were mostly cloudy with several hours of sunshine. Maldives use Maldivian rufiyaa (MVR), but dollars are perfectly acceptable to use as well. Rufiyaa can only be used in Maldives. It’s basically useless in other countries, and you can’t change it back to another major currency outside as well. All conversions must be done within Maldives. You can change your money to rufiyaa in Male airport (Bank of Maldives). Keep the receipt because you’ll need it to convert back to your currency. This is done after checking in for your return flight. Establishments accept both MVR and USD, but sometimes if you pay in dollars you will still receive rufiyaa in change. Again, you can’t convert this back if you don’t have a receipt. I suggest changing a small note (such as $50) and paying the rest of your purchases in dollars. Taxes are usually not included in rates advertised, particularly in restaurants. You will arrive in Male airport and from then on decide where you want to go. There are 2 types of water transport: you can go via a public ferry or speedboat. Public ferries are cheap (P80-180 / $1.5-3.5), but they also take considerably longer. Speedboats are fast but a little more expensive, depending on where you want to go (P1000-2400 / $20-45). Public ferries do not operate on Fridays, but speedboats are still available on selected times. I planned my own route and I admit I was kept awake worrying about ferry schedules, since the information online isn’t at all updated. If you’re going to transfer to an island but are unsure of schedules, you can contact your booked accommodation for help. If you’re doing a budget trip to Maldives, you’re probably going to stay in a local island. As said above, a local island is home to residential houses and here you can get various types of accommodations and book excursions (island hopping, snorkeling trip, etc) as well. You can also find a wider range of shops and restaurants in a local island. The downside is there are restrictions such as wearing bikini in public beaches (there are designated bikini beaches for tourists) and drinking alcohol. You’ll be giving up exclusivity as well. If you’re on a short vacation (e.g., 5-6 days), it might be best to stay in 1-2 islands only since transfers can be a hassle and just sign up for excursions from there. Here are the islands I’ve visited during my 6 days trip to Maldives. 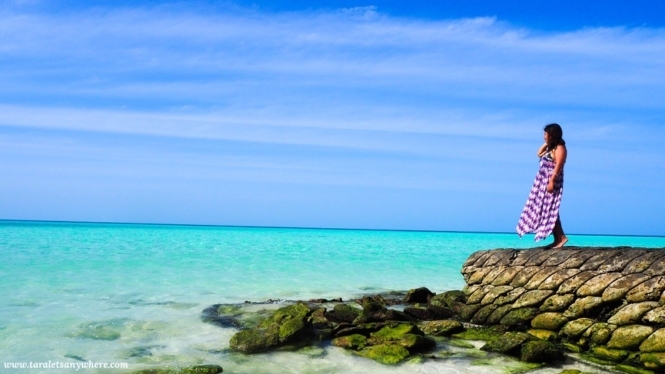 Maafushi is currently the most popular local island for backpackers in Maldives. It has about 30+ accommodations and sprawling with seaside restaurants. Bikini Beach in Maafushi Island. I enjoyed my stay here and think it’s very convenient because you have access to all tours and commercial establishments. It’s also linked via sea travel to a number of islands in Maldives. The bikini beaches here are passable (I’ve honestly seen better). Surprisingly, the public beaches on the far end are more photogenic. From the airport, you can get a speedboat that directly goes to Maafushi (30 minutes). iCom Tours, Shadow Palm and Maafushi Tours are speedboat companies with this route. A one-way speedboat ride costs P1000 ($20). You can also go here via ferry, which is a lot cheaper but also takes longer (1.5-2 hours). From the airport, there are direct ferries to Maafushi. If for some reason you missed the direct ferries, you can also go on a ferry to Male (P50 / $1) and then take a taxi (flat rate of 30 MVR / P100 / $2) to the jetty for the public ferry to Maafushi (P100 / $2). The ferry schedule is at 3PM everyday, except Fridays. Personally, I prefer going on a speedboat as the price difference offsets the time you’d be waiting. Long beach in Gulhi Island. 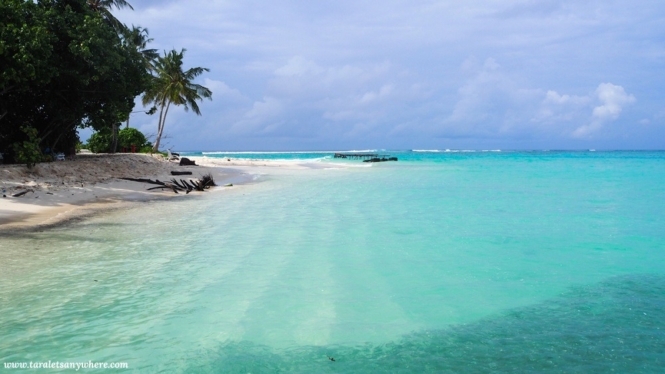 Gulhi is a local island similar to Maafushi, but quieter and less crowded. Its bikini beach is a long stretch of white-sand, with one end of the shore a playing ground for baby sharks. 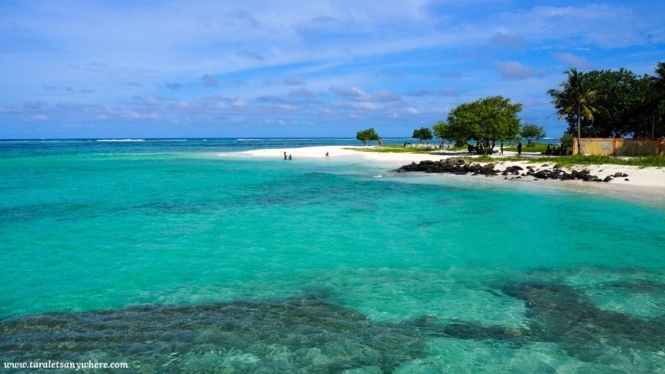 There’s a reef far from the beach where you can snorkel. To get here, ride a ferry/speedboat from the airport or Male. Sea transfers going to Maafushi usually stop by Gulhi Island first. Fulidhoo for me is the best local island. It looks like the Maldives I see in post cards. 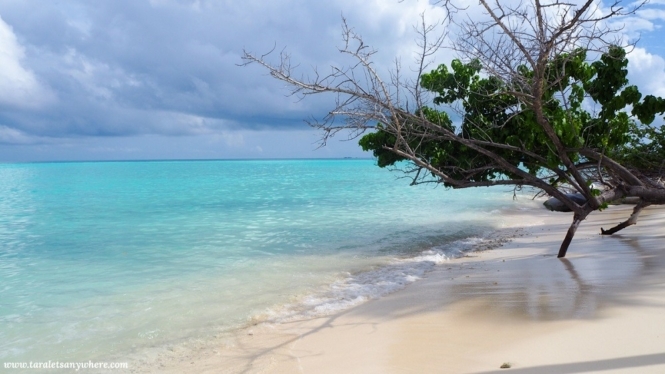 Beautiful beach, never-ending light-blue water on white sand, with coconut and other trees for shade. I stayed here overnight and wished I could’ve stayed longer. Maybe 2-3 nights will suffice. To get here, ride a ferry in the Villingilli Terminal in Male or in the jetty in Maafushi. The ferry runs thrice a week (3 hours travel time). Here are the schedules to Fulidhoo via Atoll Ferry. As with other public ferries in Maldives, tickets are bought on the spot (not sold in advance). There is also a speedboat from Male to Fulidhoo and back ($45). You can beach bum or go to various excursions. There are snorkeling or sand bank tours, night time fishing and barbecue, dives (both introductory and professional) and resort day tours. All of these can be arranged by your accommodation. Water villas in Fihalhohi Resort. It costs $110 for an all-inclusive package (speedboat transfer, entrance and buffet). When I got there though, the buffet was full and they only offered ala carte, so I can’t say anything about the food (tsk tsk, too bad Fihalhohi; on the other hand, I only paid $80). The sight of water bungalows was underwhelming at first, but in the late afternoon when it was high tide, I was able to appreciate them. There’s a long beach in Fihalhohi Resort that reminded me of Calaguas in the Philippines. There’s a snorkeling area here too where you see animals such as dolphins; I didn’t go there because I was informed of strong currents at that time. In front of the entrance to the resort, you can easily see colorful fishes and even manta rays. In Maldives, you can get a decent meal for P200-500 ($4-10). There are tons of Indian food here. You might want to ask your guesthouse to serve you a Maldivian breakfast in the mornings. One notable restaurant I’ve visited is the Arena Beach Resort in Maafushi, which serves dinner buffet for only P650 ($12), excluding taxes and drinks. The Arena Beach Resort buffet includes barbecued seafood (tuna, during my visit) and their own pasta table. The food options are limited, but quality is good. It’s also very romantic since you can have a table in the beachside. 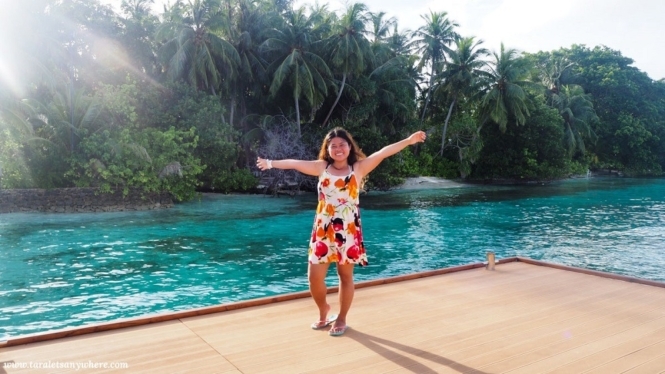 There’s also the Maafushi Floating Bar, which is a novel experience for me. You’ll have to get on a small boat that will take you to the Floating Bar at night. The options for alcohol isn’t great though, since only limited drinks were served when we visited. There are all sorts of accommodations in Maldives. You might find that some prices are cheaper in AirBnb compared to Agoda or Booking. If you’re not yet registered in AirBnb, you can do so using this referral link and get $30 initial free credits on your booking! Here are the places I stayed in. Seaview room in Maafushi Inn. Maafushi Inn offers affordable sea-view rooms. My room is okay — I love the huge window and the view outside. The bed mattress seems old and there were noticeable stains, but if you’re not particularly picky this is a good budget option. Also, service is wonderful and the staff helped with my schedule and tour. Book here via Airbnb, Agoda or Booking. One of the two guesthouses in Gulhi, I very much enjoyed my stay in Silver Shade Guesthouse. The room looks new and neat, it feels like a hotel room actually. My host Samad is welcoming and very friendly. He took me snorkeling in the bikini beach and invited me for dinner. I highly, highly recommend staying here. Samad also arranges professional diving activities. Book here via Airbnb, Agoda or Booking. Please say hello to Samad for me! Galaxy Sunrise is a new guesthouse in Fulidhoo. The room is the best I’ve had in Maldives and affordable too. It has its own private beach where you can relax, and it’s near the bikini beach also. It’s called as such because it’s located in the part of the island where you can see the sunrise (which, by the way, was very beautiful). Like above, my host Bushree is very welcoming. He gave me a short tour in Fulidhoo and talked about the locals’ life. I won’t hesitate to book here again when we come back. Again, this one is a highly recommended accommodation in Fulidhoo. I’ve written about my trip to Maldives in a separate post, and this is just the practical information. Maldives is one of those countries where I suggest you really try to create your own itinerary, and not just copy from blogs you found online. Most backpackers prefer to spend the duration of their trip in Maafushi, but I thought about staying in other local islands also (because I’m non-normal like that). Here’s my 6 days itinerary in Maldives, for reference. Is 6 days enough? Actually yes, if you manage your time well and schedule everything properly. Some actually book for 4-5 days only, but if you’re going to somewhere as far as Maldives, why not stay longer? Here’s something to note: Transfers between islands can hamper your activity schedule, especially since most or all tours start in the morning. For instance, from Gulhi Island I transferred to Maafushi and arrived at 10AM. During that time all the tours have already gone. The alternative was to go on a private tour, but not every place could be covered at a later hour and so it didn’t seem worthwhile to me. For this reason, backpackers on a very short trip prefer to stay in 1 island only (as said above, usually it’s Maafushi) and book tours from there. I like my schedule even if I wasn’t able to do much excursions. Mingling with the locals was a one-of-a-kind experience. If I were to go back though, I’ll try other activities such as swimming with whale sharks. I’ll also spend more days in Fulidhoo Island and island hop from there. Maybe even book a water bungalow? Time will tell.